Last week we wrote about the Snowdown Bed Race, and how proceeds from the event will benefit The Hundred Club of Durango. 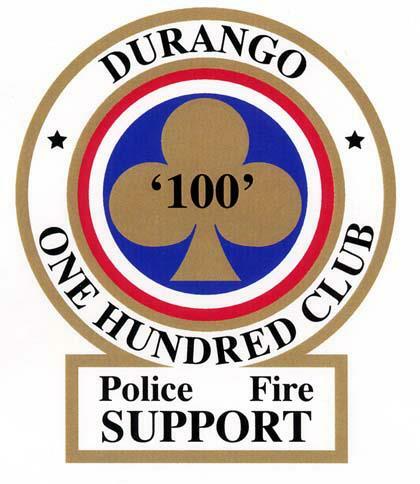 This week we want to spotlight the Hundred Club, as it is a unique organization that serves Durango. The Hundred Club provides a substantial contribution to the family of a deceased public safety officer on duty within 72 hours. This is a spectacular service, as public safety officers sacrifice much to keep our town safe. The membership fee is $100 per year, and funds for the club are obtained through private and public donations, as well as annual dues. Any member of La Plata County can join The Hundred Club! There is also a scholarship fund within The Hundred Club. This is a way to support family members of local law enforcement or fire and rescue. Both firefighters and law enforcement play an integral role in the operation of Durango, and it’s encouraging to see an organization that strives to support the families of those impacted by tragedy. If you are looking for a way to support this cause, here is the link to their website: http://www.durango100club.com/. The Durango Community is a close-knit and supportive group of people. We love seeing organizations such as The Hundred Club exist to support those in a time of need.